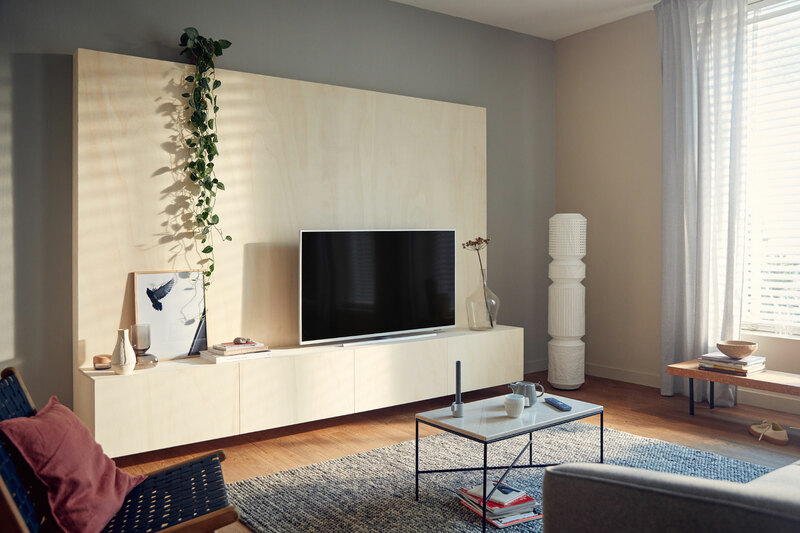 TP Vision has unveiled a full line-up of 2019 Philips LCD TVs; all with Ambilight, most with Dolby Vision and Atmos, one with B&W speakers. And then there is ’The One’. 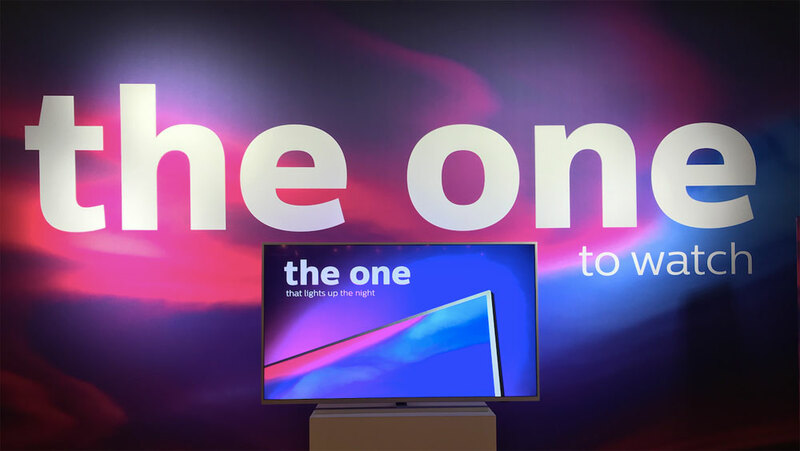 The 2019 Philips TV line-up will be spearheaded by a new model that Philips has dubbed ’The One’. It is mid-range ”performance” TV. It will not be the most advanced TV in the line-up but the company has high hopes for it, arguing that many buyers get lost in all of the technical terms. This TV should satisfy their needs, they believe. ’The One’ – or the 7304 performance series –is based on a 4K LCD panel and will be available in sizes ranging from 43 to 70 inches. And like many of the other new 2019 Philips TVs it will support Dolby Vision HDR, in addition to HDR10+ and HLG. Together with Panasonic’s GZ2000, Philips TVs are to only sets to offer support for both premium HDR video formats. 7504 will also be compatible with Dolby Atmos. Besides the new high-end OLED TVs, the 2019 Philips LCD line-up will include several LCD models ranging from mid-range 6 series to the 9104 that has been designed in collaboration with Georg Jensen. From the 7 series and up all models will be based on Android TV – most with Android 9 Pie – while the 6 series will feature the Saphi TV platform that was first introduced last year. The Bowers & Wilkins partnership will continue in 2019 and for the first time one of Philips LCD models will come equipped with speakers from B&W (2.1-channel 50W). The 8804 series has a minimalistic design and is very thin, the company said. 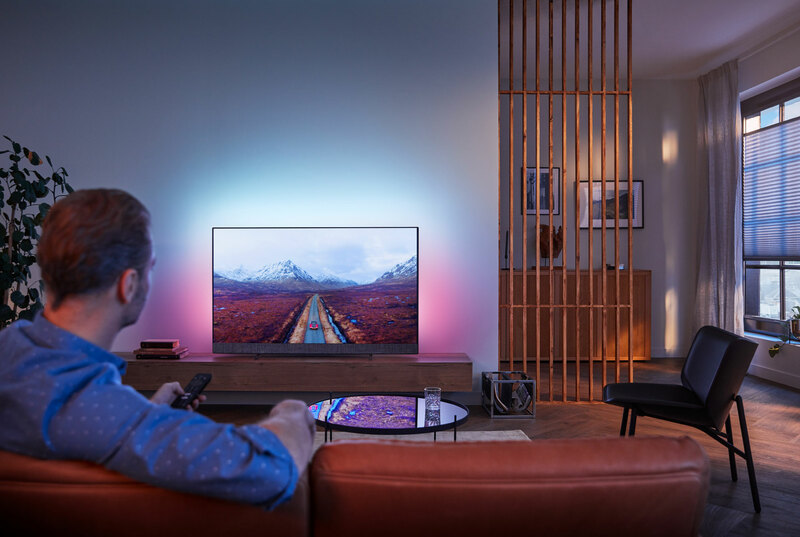 All of the TVs announced at the event in Amsterdam come equipped with Ambilight, which is Philips’ mood lighting system for TVs. Ambilight has in recent years gained Philipe Hue integration, a gaming mode, music integration, and more. The TVs are also equipped with the company’s P5 video processor. More details about the 2019 Philips LCD TVs for Europe can be found in the table below. The new TVs will be available in the first half of 2019. Pricing details will be announced later. - Super narrow two-tone metal bezel with two forward facing drivers integrated into the lower bezel. Finished in Kvadrat Speaker Cloth. - HDR 10+ and HLG.